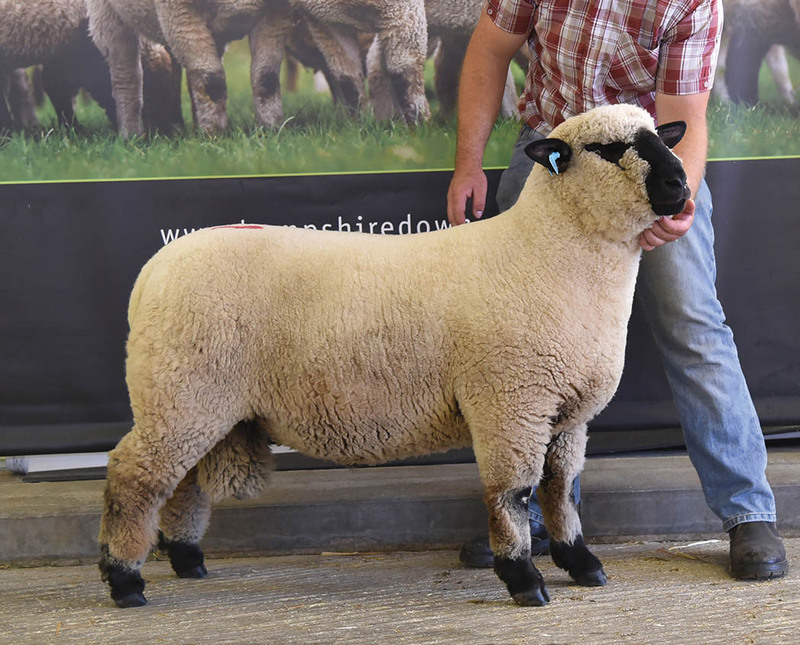 The Hampshire Down premier sale, held for the first time at Shrewsbury market and run in conjunction with the national show the previous day, saw new breeders, Matthew Jones and Rebecca Smith, top the market at 1,350gns with a ram lamb from their Birchfield flock, Telford. This son of Yarcombe Flashman, out of a Ballycreelly ewe by Ballycreelly What the Devil, sold to D. and D. Middleditch and Son, Sudbury, Suffolk, jointly with Harry Elsden, Hertford. The vendors then re-invested half their takings in a ram lamb from the Derryman’s Yarcombe flock, Honiton, Devon. Another Yarcombe Flashman-sired ram lamb produced the second highest price of the day at 1,200gns. From K.P. and A.E. McCarthys’ Ballycreelly flock, County Down, it was knocked down to James Dicksons’, Jamrin flock, Carmarthen. This lamb had won its class at the Irish National earlier this year and taken top honours again in the ram lamb class in the previous days UK national show. 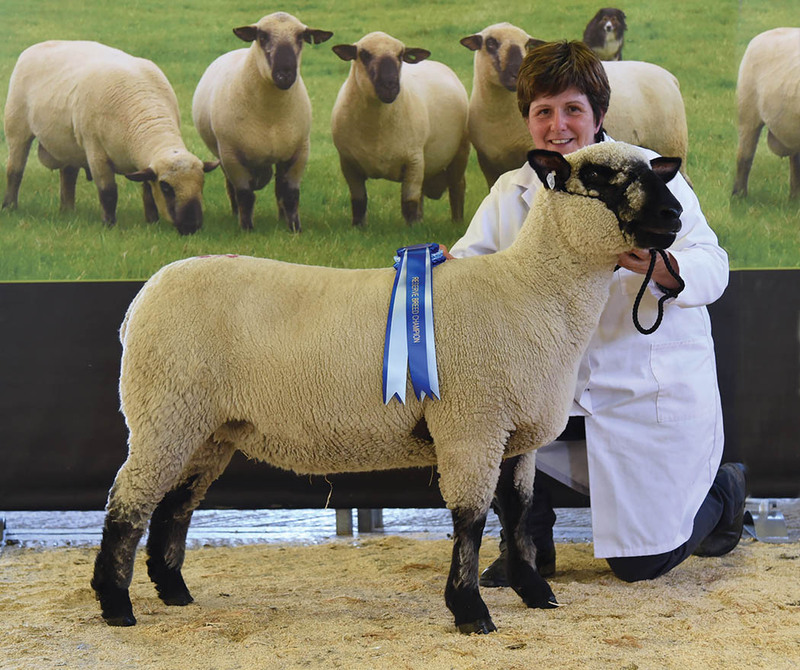 Top ewe price of the day at 660gns was a shearling ewe from Graham and Judith Galbraiths’ Graylen flock, Kendal, which was by Kelsey Icon out of a Kelsey ewe by Normanby Lancelot. The buyers were Messrs Meaden, Shrewsbury. Selling at 480gns was the top price ewe lamb from Nick Coles’ Coleberry flock. Consigned by the Eppleby flock owned by Austyn Chapman and Nikki Wadkins, Richmond, North Yorkshire, it is by Court General and out of a Graylen ewe by Graylen D’Artagnan. T.I. and J. Hunter, Lincolnshire, paid 520gns, the highest priced shearling ram of the day for a son of Kelsey Nobleman from Jim and Jane Birkwoods’ Thorbeck flock, Grimsby. Averages: Shearing ewes, £439.25; ewe lambs, £394.33; shearling rams, £546; ram lambs, £650.28.